We have various pages of Contemporary Dublin House selections with links to hundreds of individual project pages. We aim to select projects that are either of top quality or interesting or ideally both. 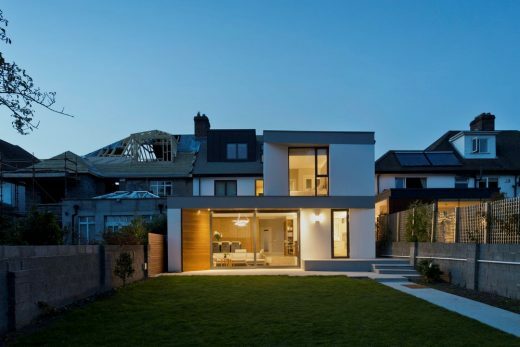 We cover completed Dublin homes, new house designs, architectural exhibitions and competitions across the Republic of Ireland. Comments on the selection welcome. The focus is on contemporary Irish residential buildings but information on traditional buildings in Ireland is also welcome. In the front lawn of a Regency villa, the new home is a modernist pavilion, re-interpreting the seaside villa. 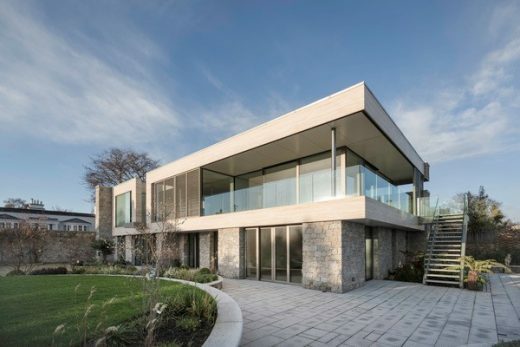 Recessed to one corner of the site, the existing residence retains views through the site and Howth beyond, while the new structure frames new vistas across Dublin Bay. 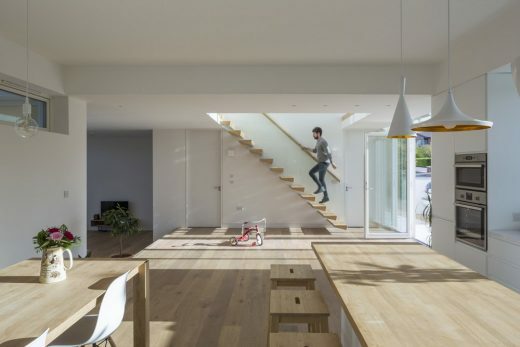 Villa 9010 is a new, two-storey, energy-efficient home for a young family in the seaside village of Dalkey, South County Dublin. An internal reorganisation and two-storey extension to the rear of this semi-detached house responds to a brief to create a flexible light-filled family home. 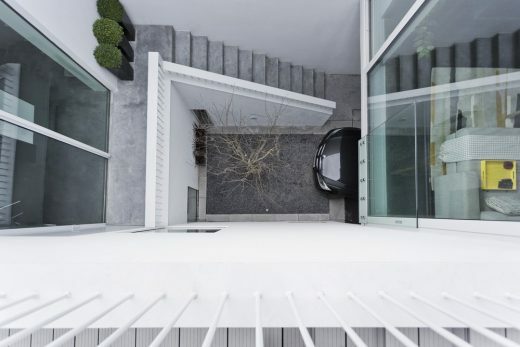 This design of a new family home, located on a tight site off a narrow laneway in Dublin City Centre, responds to its restricted context by creating a central courtyard to maximise natural light and spatial quality. This site is located in a residential area in south county Dublin with the new house replacing a 1970s bungalow which existed on the site previously. Key to this design was the client’s requirement for the new house to be energy efficient, cheap to run and to make the best of his site. The form, layout and detail of the house result from these requirements and were guided by best principles of sustainable design.